Are you struggling with stairs due to age or disability? If you’re looking for something to help you with your mobility issues at home, what better than a stair lift that was designed with love and care? 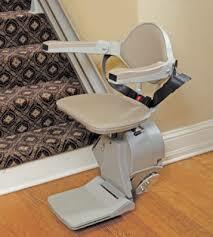 Brooks’ first stair lift was designed by a British engineer. His wife struggled with their staircase at home due to her rheumatoid arthritis, and was able to keep her independence thanks to her husband! 40 years later, Brooks stair lifts are manufactured and sold in several countries. Brooks lifts are sold through the popular Acorn brand. The only difference is that Acorn sells directly to the public under their own brand name, and through their dealer network as Brooks. Brooks lifts come in only straight models, with a range of optional extra features which can be added to tailor your lift to your specific needs. Brooks also offers an outdoor model so you can access all the areas of your property with ease. In a survey by British review website Which?, Acorn, supplier of Brooks stairlifts, received an above average score for customer satisfaction. The Brooks Lincoln model is a basic, budget-friendly stair lift that runs on automatically recharged DC batteries. It’s designed with your safety and ease of use in mind. This model is the same as the Acorn 130 straight stair lift. It can carry a weight of up to 280lb, but a special upgrade will give it a 350lb capacity if you need it. 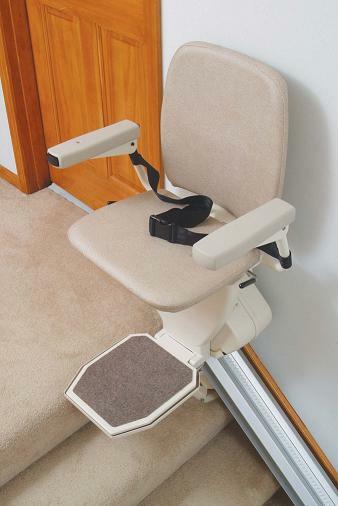 The Brooks Lincoln stair lift is operated with a joystick armrest paddle. It comes with a wireless remote control system, so you can call the lift to you or send it to park out of the way. The seat swivels to make it easier for you to get on and off. It can be locked in either a 45 or 90 degree position. You can get off at the top of the stairs while facing away the staircase, for your safety. The Lincoln has safety sensors which will halt the stair lift if there are obstacles on the staircase. The design is compact and folds up, allowing other household members to walk up and down the stair unimpeded. All Brooks straight stairlifts are guaranteed for 12 months from the installation date. The guarantee covers all mechanical failures that might occur through defects in the manufacture of their quality products. Brooks stair lift costs are pretty reasonable. The no-frills standard model will cost you around $2,495 new, with an extra $395 charge for the hinged rail option. You can find a used Brooks stair lift online for as little as $800. Bear in mind that you might not be covered by the same warranties if you purchase a used model. You will also have to organize your own installation. Brooks are sold through Acorn, which is a reputable company with many outlets worldwide. Their lifts, while basic, have all the required safety features, and are some of the most reasonably-priced on the market. Depending on your local dealer, you should easily be able to organise the installation through them. Acorn offers free, no-obligation home visits to assess your staircase. It goes without saying that they will most likely give you quite a sales pitch, so be prepared! If you buy a used Brooks stair lift, you might be tempted to install it yourself, or have a friend or family member install it for you. While this is certainly an option if you’re handy around the house, bear in mind that the lift might not fall under the same warranties. 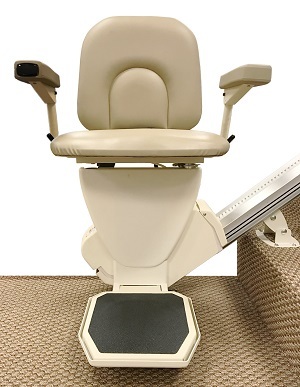 If you need a heavy-duty lift, a Brooks stair lift is probably not for you. The 350lb weight capacity upgrade will suit most users, but if you need more power to get you safely from A to B, you should probably look at other brands instead. If you want luxury features such as stylish design or high-end fabrics, or lots of motorized features, these lifts probably won’t meet your needs. However, Brooks stair lifts are a perfectly reasonable choice, if you’re happy with a standard model. If you find you or a family member is having trouble managing the stairs, you’re at risk of a dangerous fall. Falls of the elderly are one of the leading causes of injury, and one of the main reasons why seniors have to relocate to a different home or a care facility. But don’t start worrying about selling up and moving just yet! Getting a stair lift installed can help you maintain your independence and stay in your community for as long as possible. There is a large number of stair lifts on the market, so trying to find one right for you can be challenging! A Summit stair lift is a good option when you’re looking for a safe, straightforward, economically-priced home lift installation. Summit stair lifts are manufactured by Harmar, which is a highly-rated and trusted brand sold on several continents around the world. Harmar also sells the popular Pinnacle and Helix models. Summit lifts come in straight indoor and outdoor models. The Summit SL350AC is an indoor lift that runs on a 115V household AC system. It has constant-pressure functionality that stops the lift immediately if the control is released. The Summit SL350OD is designed to help you access your driveway, porch or private jetty. It comes with a header cover, internal chassis cover and weatherproof cover included. Summit stair lifts come with various standard features. Upgrades are available for those who want them. 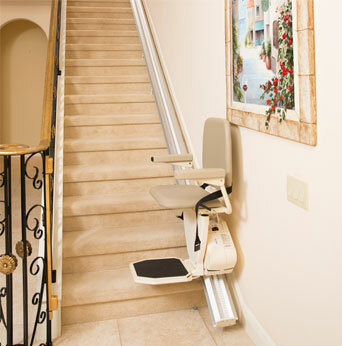 The stair lift has a custom extruded aluminum track that allows you to move the lift carriage away from the staircase. The lift seats swivel at an angle, so you can move on and off the seat while facing safely away from the staircase. The compact design of the lift makes it able to be folded away neatly. Safety sensors in the footrest and chassis stop the lift if there is an obstruction on the staircase. The lift controls work with constant-pressure functionality – lift stops immediately if the control is released. The lift runs on a cable-operated system that guarantees a fast smooth ride. Call/send stations are installed at the top and bottom of the unit, so the lift can be parked where you want. The lift mounts to the stairs, not the wall – so you won’t need a messy remodel of your staircase. Maximum weight capacity of the lift is 350 lbs. Summit stair lift costs vary, depending on the type of lift. Summit lifts are sold through a number of dealers throughout the USA, so you should expect some differences in price depending on the dealer. The average cost of a straight stair lift runs between $2,000 and $5,000. You can find used or reconditioned lifts for sale online, but bear in mind that you could run into some installation or warranty issues with a lift that isn’t brand new. 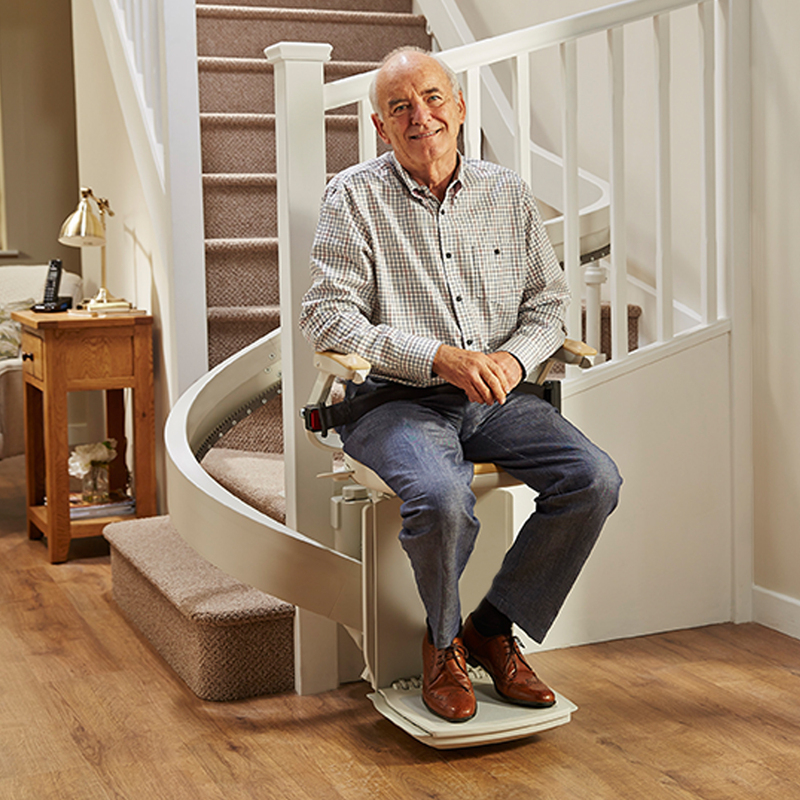 Before you decide to install a stair lift in your home, there are some things to consider that you should bring up with your lift dealer. Will the Summit stair lift fit my staircase? Summit stair lifts can be made to fit any straight staircase. An authorized professional should survey and measure the staircase in your home, before advising you on the type of lift you need. Of course you could opt to measure up and install your own lift, but unless you’re good with your hands, it’s probably better to pay for the installation. Is the Summit stair lift safe to use? Summit stairlifts are made and sold through Harmar, which is a safe and trusted brand. Once your lift is installed, a company representative will show you exactly how to use it. Make sure you use it only as directed! Will people still be able to walk up the stairs in my home? Stairlifts take up about one to two feet of space on the staircase, depending on the make and model. When the lift isn’t in use, it can be folded up to create more space for “pedestrian traffic” on the stairs. Summit stairlifts also come with a call / send button, so you can move the carriage to a convenient place when not in use. 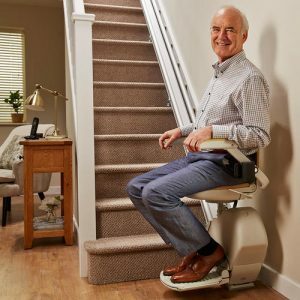 I only need a stair lift temporarily – will I get a refund? One of the main complaints about stair lifts are from people who had a lift installed, then didn’t need the lift after a while. This could be because the user of the lift recovered from the injury or condition that limited their mobility, or they moved house, or they passed away. Lift manufacturers won’t offer you a refund if this is the case for you – but many companies offer stair lifts that you can rent temporarily. If you have a visiting friend or relative who needs assistance with the stairs, or if you are recovering from an injury that will only affect your mobility temporarily, renting a stairlift is a good option. Rental options are only available for straight stairlifts, not custom curved lifts. Can I get help with the Summit stair lift costs? Stair lifts are not currently covered by Medicare – however, some states have programs to help people pay for senior mobility aids. Veterans can check with the VA if they qualify for assistance. Most Harmar lift dealers also offer financing terms. Reliability, affordability and brand trust are the key features of Summit stairlifts. Harmar has a countrywide dealer network, so your lift installation should be fast and easy to organize. Most customers are satisfied with Summit stairlifts. 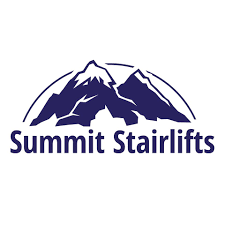 If you’re looking for a quality product from a trusted brand that has reliable aftercare and won’t cost you the earth, Summit lifts are a good choice. If you want an ultra-modern high-tech stair lift with lots of customized features, you should probably look further afield. Most people want to stay in their own homes as they age, for as long as possible. If you or a loved one can’t move around as easily as you used to, a stair lift can be a fantastic home modification. However, there’s a huge amount of information out there that can be difficult to navigate. 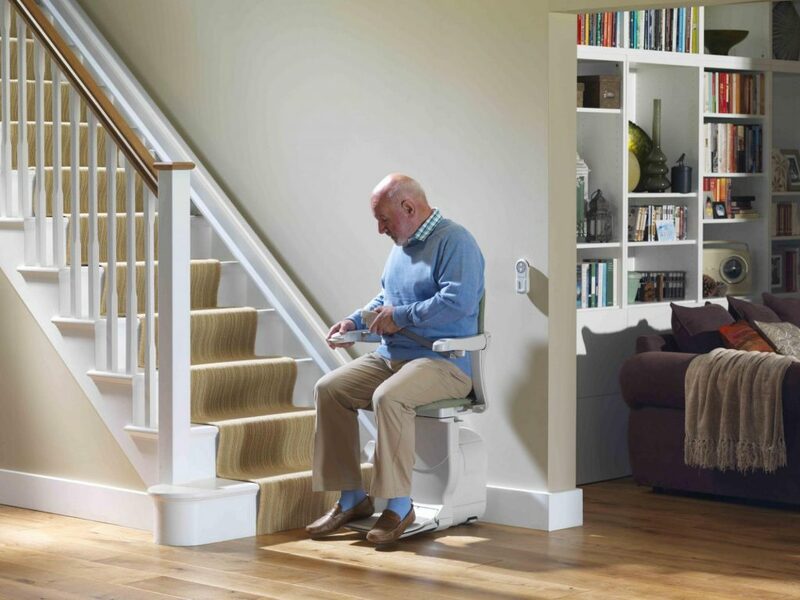 Finding a stair lift shouldn’t be harder than actually getting up your stairs! The main things to consider when looking for a stair lift are: what kind of staircase you have; and your mobility level. These two factors will determine the type of stair lift that’s right for your needs. Sterling stairlifts come in several styles and models that can accommodate most requirements. Sterling is a division of Handicare – a well-known and highly rated US manufacturer of aids for seniors and the disabled. As a trusted brand with a wide range of options, Sterling is a good choice for anyone wanting to make changes at home to suit their unique and specific mobility needs. Sterling offers both straight lifts and curved stair lifts, as well as an outdoor version of the Sterling 2000 model. Sterling lift functionality ranges from standard models that get you safely from point A to point B, to models with powered functions for people with very limited mobility. The Sterling Simplicity 950 is a budget-friendly standard straight stair lift. It has a manual swivel seat, manual folding footrest, and a compact profile to save space on the stairwell when not in use. The toggle control is easy to manage for people with issues like chronic pain from osteoarthritis. The Sterling Simplicity 950+ has all the features of the standard 950 model, but with extra features. The seat swivel and footrest are operated with controls instead of by hand. There is also a sliding track option that enables you to move the lift track out of the way, if the bottom of your staircase has limited space. The Sterling 1000 straight stair lift has a very sleek track profile, and a higher weight capacity. The lift can carry up to 440lbs if you opt for the extra heavy-duty version. Otherwise, the 350lb standard limit is sufficient for most users. The Sterling 2000 is Handicare’s curved stair lift model. It’s customized for your curved or angled staircase, and has a number of power upgrades if you want them. The model has a maximum weight capacity of 300lbs, so it’s ideal for bariatric users. Sterling lifts have a sliding track option that move the track out of the way when not in use. This option limits the lift weight capacity to around 275lbs. Sterling stairlifts have a continuous charging function to keep them operational even in a power outage. Fold-up seat, footrest and armrests allow you to minimize the stair lift’s profile, and save space on the stairs for other users. The lifts have safety sensors that stop movement immediately if there is anything in the way. This includes pets and children! You can easily adjust the seat height to suit you. 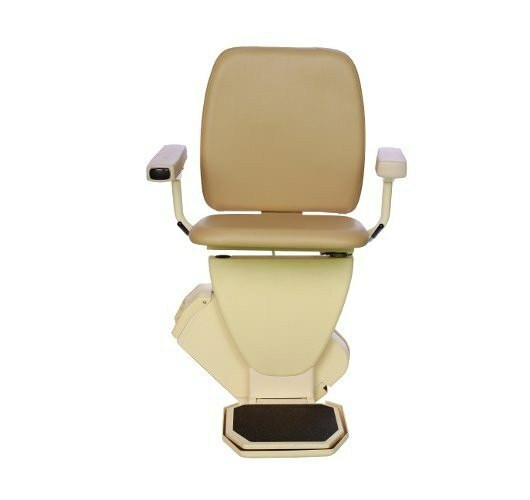 The stair lifts have a manual OR powered swivel seat for safe transfer on and off of the lift. A key switch stops anyone but the actual user from starting the lift. Sterling stair lifts have large, carpeted footrests to give you more traction, and help you feel more secure. There is a manual emergency stop on the lift, in case you need it. The lifts operate on DC plug-in power, and have battery backup in the event of a power outage. People who need extra upper body support can select a full body harness instead of a lap safety belt. Sterling stairlift seats come in your choice of vinyl or fabric upholstery in 6 colors (950+, 1000 and 2000 models only). You can choose a perch seat with the Sterling 1000 and 2000 models, so you don’t have to bend your knees and hips while using the lift. The Sterling 1000 model has an anodized aluminum track with no messy gearing exposed. The Sterling 2000 curved stair lift model comes in a weather-resistant unit, with covers included, for the great outdoors! Last but not least…the style and colour that will suit your home décor. Sterling stair lift costs are generally middle-of-the-range. You can expect to pay the least amount of money for the Sterling 950 without upgrades. You’ll pay more for the curved Sterling 2000 indoor or outdoor models. Below is the Sterling stair lifts price range you can expect. Sterling lifts have a 2-year manufacturer’s warranty on parts, and a lifetime warranty on the gearbox and motor. This EXCLUDES the outdoor models. Sterling stairlifts lack some of the fancy features of more expensive brands. For example, their weight capacity isn’t suitable for bariatric users. On the plus side, their controls are extremely easy to manage, even for people with limited hand use. They also offer various upgrades and style options. Plus, the two-year warranty is a bonus compared to warranties offered by other manufacturers. Sterling stair lifts are a perfectly good choice if you’re OK with a quality product that suits most homes and basic user requirements. These are not luxury models with high-end features, but if you’re looking for a good meat-and-potatoes brand, this is a good option. If you or someone you love is at risk of a dangerous fall due to mobility or balance issues, it might be time to consider getting some mobility aids installed at home. It’s a fact of life that advancing age can affect your mobility and balance. Even active and healthy seniors can experience a level of “wobbliness” while moving around in their day to day lives. Excel stairlifts are a great addition to a multi-level house, as they can help you navigate stairs safely with way less risk of falling. Excel is a trusted brand of stair lifts on both sides of the Atlantic, and offer several styles and models you can choose from. The two main styles of stair lifts are straight and curved. Straight stair lifts are the most common style, and are designed to travel in a straight line from floor to floor. People with more than two levels often install two or more straight stair lifts, to allow them to move freely around all levels. Curved stair lifts are custom-designed to hug the turns and landings of your staircase in a continuous movement. They generally cost more than a straight lift, and have a lower weight capacity. Excel offers lifts in both straight and curved styles. Both styles feature an innovative wireless remote control function that allows you to bring the lift to you or send it to another floor. Not only does this allow you to move the lift out of the way when not in use, it also lets you move supplies and luggage between floors. The Superglide and Horizon stair lifts both fold up unobtrusively on your staircase, and have a smooth start-stop mechanism that allows you to glide up and down your stairs. The seats can swivel around, so you can get on and off the lift while safely facing away from the stairs. The 180 Curve and Platinum Curve stair lifts are perfect for staircases with bends and intermediate landings. Both models fold up unobtrusively at the bottom of your stairs, and allow you safe entry and exit. The Platinum model is also fully adjustable to your size and body shape. Contoured seat which swivels away from the stair and locks into place at each landing. How long is the staircase? How many landings does the staircase have? What weight capacity do you need? For some, Excel stair lifts costs can seem prohibitive. These are highly engineered appliances, so they don’t come cheap! However, being able to move safely and freely around all areas of your home can be well worth the financial outlay. Most stair lift installations are custom-built to suit your home, at least to some degree. You can expect to pay the least amount of money for a standard, no-frills straight stair lift for a relatively short staircase of 12-14 steps. You’ll pay more for a curved lift. Below is the price range you should expect to budget for, if you’re thinking of installing an Excel stair lift. An Elite stair lift will fit neatly into any home, no matter how what kind of staircase you have. While a stair lift helps you to be safe and independent at home, it can be a pretty big financial outlay. There must be a downside, right? The main downside of an Elite stair lift install boils down to price. They don’t come cheap, and to top it off, Medicare doesn’t currently cover the cost of stair lifts. They’re considered to be home modifications, and not “durable medical equipment” which is covered. The cost of moving into a new home or a care facility can be huge – not to mention the emotional costs of moving from your neighborhood! Excel stair lifts price don’t come close. Essentially, your lift installation will pay for itself within a few years. If you really need a stair lift but can’t afford it, various senior organisations might be able to help you fund your installation. If you’re a military veteran, you might be able to secure funding through the VA. Various dealers of Elite stair lifts also offer financing plans, so you can pay for the lift over a period of time. Moving around at home should be pleasant and easy, not a nerve-wracking experience! If you’re fully cognizant of all the information out there, Elite stair lifts are well worth the price you pay. If you want to make some adjustments to your home to help you stay independent and age in your community, a stair lift can be a very useful household addition. Limited mobility can often prevent seniors from getting around as easily as they would like, and a stair lift will help you move between floors without risking a fall. While these handy inventions will surely make your life easier, it’s not always easy deciding which brand to choose! Pinnacle is one of the better-rated ranges of lifts on the market. They are manufactured by Harmar, a Sarasota-based company that sells stair lifts on 6 continents. The Pinnacle range consists of 5 straight stair lifts with different features to suit your needs and preferences. A straight stair lift moves up and down a straight staircase, with no curves or turns. Pinnacle stair lifts come in 5 different styles – standard, AC-operated, compact, heavy-duty and outdoors. The Pinnacle SL300 is Harmar’s standard and most affordable stair lift. It runs on a rechargeable battery, and can make up to 40 trips without needing a recharge. It has a weight capacity of 300lbs. The Pinnacle SL350AC runs on a household AC system of 115V. It has constant-pressure functionality that stops the lift immediately if the control is released. The Pinnacle SL600 is a compact straight stair lift that folds up neatly against the wall to a mere 10.5” width. If you have a very narrow staircase, or a family home with heavy staircase “traffic”, this is the one for you. The Pinnacle SL600HD can carry up to 600lb of weight, which makes it an industry leader in heavy-duty stair lifts. It also has a swivel seat for easy and safe on and off movements. The Pinnacle SL350OD is designed to withstand the outdoor elements. It’s a great addition to homes with steep driveways, porches and private jetties. The lift is upholstered in marine-grade vinyl. It comes with a header cover, internal chassis cover and weatherproof cover included. Pinnacle stairlifts have many safety features, plus some innovative extras that make them one of the world’s most sought-after brands. The stair lifts operate with a patented helical worm gear drive system. This makes the lift operation very smooth and quiet. The over-sized worm gear gives the system greater stability. The symmetrical design of the lifts allows them to be highly compact, and fold away neatly. The lift seats swivel at the upper landing, so you can get on and off while facing safely away from the staircase. Standard safety sensors in the footrest, and optional sensors in the chassis, will bring the lift to a stop if there is an obstruction on the stairs. Pinnacle stairlifts have rocker controls that work with constant-pressure functionality – this stops the lift immediately if the control is released. The extruded aluminum track comes in custom lengths (for the SL350OD and SL350AC models). An extruded track allows you to get on and off the lift away from the stairs. There is no grease or lubrication required for the nylon polymer gear rack, which makes it low maintenance and easy to clean (for the SL300, SL600, and SL600AD models). Pinnacle stair lift costs vary, depending on the type of lift you choose. Pinnacle lifts are sold through a number of dealers throughout the country, so this can also mean some fluctuations in the price depending on the dealer. The average cost of a straight stair lift in the US runs between $2,000 and $5,000. Although it’s difficult to find Pinnacle stair lift prices online, the examples we have found are right in the middle of this range. You can find used or reconditioned lifts for sale as well, but bear in mind that you could run into some warranty issues with a lift that isn’t brand new. What Else Should You Know About Pinnacle Stair Lifts? Before you make the decision to install a stair lift in your home, there are a few things to consider beyond the basic type and features of the lift. Here are some questions you should bring up with your dealer. How do I make sure the stair lift will fit my staircase? You should make sure an authorized representative for Pinnacle stairlifts surveys and measures the staircase in your home. Some companies allow you to measure and install your own lift, but unless you’re very handy around the house, this probably isn’t the best option. The home assessment should also gather information about your size and mobility levels, to give you the best advice. Can I get help to pay for a stair lift? Stair lifts are not currently covered by Medicare at this time. However, some states have programs to help people pay for assistive technology. Veterans can check to see if they qualify for VA assistance to help pay for a stair lift, especially if one is needed to accommodate a disability with a referral from a VA provider. Some stair lift companies offer financing terms so you can pay off your installation over time. How do I know my Pinnacle stair lift is safe to use? Pinnacle stairlifts are made by Harmar, a highly reputable brand. Make sure you understand exactly how to use the stair lift, and use it only as directed. If you feel a loved one has some cognitive issues, it’s best to supervise their use of the lift if possible. 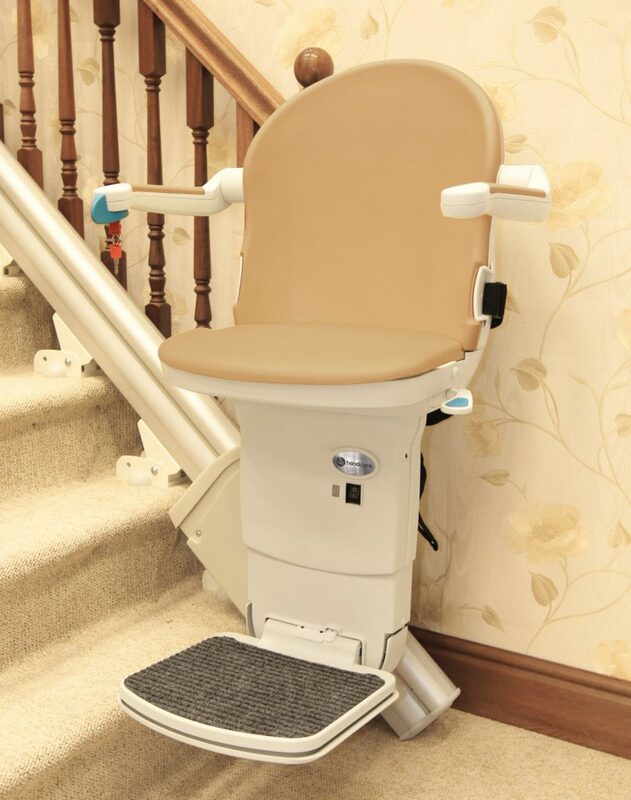 Pinnacle stairlifts have sensors to keep the lift from moving until you’re safely fastened in the chair. A brand-new stair lift is likely to be more reliable than a refurbished model. Harmar is a US-based company with an extensive countrywide service network, so your Pinnacle lift installation should be very fast and efficient. It should also be easy to get repairs and maintenance for your lift. Harmar is one of the highest-rated brands of senior mobility aids worldwide, and their Pinnacle lifts don’t skimp on safety or convenience features. Pinnacle stair lift costs are around the middle of the range, therefore not too prohibitive. With its great features, price, and stellar reputation, you can’t really go wrong if you choose a Pinnacle lift. Two-thirds of seniors in the USA, or a mind-boggling 15 million people, have loss of mobility. This can be due to chronic muscle pain or joint pain, or conditions that affect gait and balance. These 15 million people risk falling on the stairs at home, so they tend to avoid them. They can no longer access large areas of their own homes. If you or someone you love is one of the 15 million, you might have considered getting some modifications to your property that will help you stay independent and mobile. A stair lift is one of the most easily accessible and useful home modifications to help you keep moving around your home safely. AmeriGlide offers a range of lifts, as well as other mobility aids for private residences and commercial buildings alike. What Can You Expect From AmeriGlide Stair Lifts? At AmeriGlide, stair lifts are not the only product the company provides – they also design elevators, dumbwaiters, bath lifts, pool lifts, wheelchair ramps, platform lifts and much more. In fact, if you’re considering a number of modifications to your home to streamline your life, AmeriGlide is like a one-stop shop for all your needs. They offer a range of straight, curved and outdoor lifts – and you can select a used or reconditioned lift that will cost you hundreds of dollars less than a brand-new model. Another plus point is that the company has a refreshingly large amount of information available online! Many manufacturers can be a little reticent to offer pricing and other info about their products, as most stair lifts have to be customized to fit your home, so the prices vary considerably. With AmeriGlide, you’ll get a pretty good overview of what you can expect for your budget and needs. We’ve taken a look at their various offerings, and compiled the main points below. AmeriGlide has 14 models of straight stairlifts, 5 models of curved stairlifts, and two outdoor models. Curved lifts can be customized for your U- or L-shape staircase, and are able to move easily around 90-degree angles. The outdoor models have a weatherproof coating to protect them from rain, frost, heat or harsh sunlight. AmeriGlide is the nation’s leading online retailer of mobility equipment. Altough the company’s affordable stairlift units can be professionally installed or consumers can opt to install the equipment themselves. Here are the standard models for the various lift categories. Other models have extra features and functions to suit your mobility level and personal preferences. The AmeriGlide Horizon standard straight stair lift is an affordable model with normal weight capacity. It has a compact design, with a lever-operated seat and footrest that can be folded out of the way. It can be used on steep staircases with angles of up to 55 degrees. Its other standard features are a digital diagnostic display mounted on the carriage, and a lap belt for safety. The diagnostic digital display shows when the lift is in a safe operating position, and also provides information if there’s a fault. The AmeriGlide Platinum curved stair lift can be custom-designed to fit almost any type of staircase. Multiple landings, a spiral staircase, 90-degree corners, or 180-degree turns – whatever your staircase configuration, you’ll be able to fit a lift that suits you. Both the Horizon and Platinum lifts are available in “Plus” models that can carry up to 350 pounds. While this isn’t the most heavy-duty capacity on the market, it’s a good fit for most body types. The AmeriGlide Deluxe stair lift is not only designed to be tough to handle the outdoors, it can also carry up to 350 pounds of weight. It suits both larger users, AND users of normal body type who are able to carry luggage or supplies with them on the lift. AmeriGlide stair lifts have a number of features that are standard for all lifts, and some specialized features. The lifts all have a seat swivel feature for easy on-and-off movements, and have safety sensors that bring the lift to a stop if there are obstructions on the track. Users can also control the lift movement with ease. You can opt to hire your own installers, or pay for installation through the company. Most AmeriGlide stairlifts are designed for you as the homeowner to install yourself. If you’re not mechanically inclined, you can opt for an AmeriGlide contractor to do the install for around $500 to $600. Installations on steel, concrete, or tile will cost a bit more. AmeriGlide stair lift price depends on the lift type, and also the features included with your choice of lift. AmeriGlide stair lifts price range varies between new, used or refurbished lifts, so you can pick whichever best suits your budget. The price range is $1,349 to $3,195. You can use two or more straight stair lift models to make an L-shape on a 90-degree staircase. This will be cheaper than installing a curved stair lift. If you prefer a continuous lift on your curved staircase, you can expect to pay from $6,293 to $10,089. Price can range anywhere from $2,568 and more. AmeriGlide stairlifts come in a comprehensive range of models to suit most users. Customers can decide if they want to install the lift themselves, and there’s also a choice of used or new lifts, which will help you save money if you’re on a budget. AmeriGlide also offers financing through FirstBank or PayPal Credit, if you’re at least 62 years old and own your home. AmeriGlide stair lift costs are not prohibitive. The main downside of a lift install is usually the cost, and the fact that Medicare doesn’t cover the cost of stair lifts. However, with the various money-saving options offered by AmeriGlide, the price needn’t come between you and your freedom! Even if you’re reasonably healthy and active, declining mobility and balance can become a fact of life for you, as a senior. Your changing physical needs might mean your house needs some modifications. One of the best ways you can make your home safer to move around in is by having a stair lift installed. Harmar is a well-known and highly-rated stair lift brand based in Florida that supplies lifts to countries on 6 continents. They have a few different models on offer, so at least one is bound to suit your personal needs and preferences. Harmar stairlifts are manufactured in eight straight and curved styles, including heavy-duty and outdoor models. Below, we look at some of the benefits of Harmar stair lifts, and some of their best-selling models. Harmar stair lifts have built-in safety features that stop the lift from moving if the seat, footrest, or armrests are not in their proper positions. Some models also have automatic braking systems that stop the lift if there are obstacles on the staircase. This is particularly vital if you live in a family home, where there might be objects left on the steps! A stair lift allows you to get safely up and down the staircase in your home, without risking a fall. However, the action of getting on and off the lift can pose a risk in itself for people with very limited mobility. Harmar stair lifts minimize this risk by having a seat swivel feature that makes them easy to access. This chair lift is positioned at a comfortable height for you to sit down and stand up. There is also a safety belt feature, to ensure you’re fastened in securely during your journey between floors. Harmar stair lifts are sold via thousands of dealer locations across the USA and elsewhere. Your dealer of choice will send an assessor to your home, who can help you choose the right kind of lift. An assessor will evaluate the angle and length of your staircase, to make a rail that fits. Contrary to what you might assume, stair lifts are fitted to the stairs themselves and not to the wall of the stairwell. This means that you can expect a fairly quick installation that won’t affect your home interior. If you can no longer move around safely in your own home, the prospect of having to uproot yourself and move house can be very upsetting. Many seniors have to move to a single-storey house or a care facility, once their mobility starts to decrease. Once you install a Harmar stair lift, you can continue living in the community right where you are, and move around your entire house almost as normal. If you’re concerned about the cost of a stair lift installation, consider how much it would cost to relocate, or pay for a senior care facility! Harmar stair lift costs are not exorbitant, so you’ll find that the lift essentially pays for itself within a few years of use. Harmar manufactures straight stair lifts as well as lift for curved staircases. Their range also includes heavy-duty and rugged outdoor models. One of the most innovative features of Harmar stairlifts is the built-in rocker control feature. This is a great safety addition for people who have conditions that affect their balance. The rocker controls have a constant-pressure functionality that causes the lift to stop immediately if the control is released. The Pinnacle SL600 is able to fold up neatly against the wall to a mere 10.5” width. This design is perfect for narrow staircases, and family homes where other members use the stairs. The Pinnacle SL600HD can carry up to 600lb of weight, which makes it one of the highest weight-capacity models on the market. It also has a swivel seat for easy on or off movements. This lift is a game-changer for bariatric users. The Pinnacle SL350OD is designed for the great outdoors! You can access your driveway, porch or jetty with ease. The lift comes with a header cover, internal chassis cover and weatherproof cover. The Helix CSL500 curved stair lift can carry up to 350lbs on a curved staircase. Rails are custom-designed to hug every curve and landing safely. 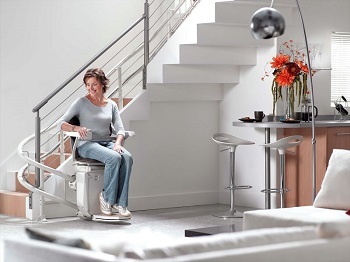 Harmar stair lifts have a number of safety and convenience features, depending on the model. You can choose lifts with swivel seats, or automatic braking systems. The lifts also have a unique drive system that doesn’t require any grease or lubricants. This reduces maintenance requirements – and you won’t get grease on the stairs, or on your pets! Here you can see some basic features of the four featured models at a glance. Harmar stair lift costs range from around $4,000 for the Pinnacle SL600, to around $10,000 for the Helix model. This is around the middle of the price range for various styles of stairlifts. Here is an overview of the basic price range. Harmar dealers across the USA are partners with various financing programs. Your local dealership should be able to let you know quickly if you are eligible for payment options. Harmar is an American company with an extensive service network, so your lift installation will be fast. You also won’t have too much hassle with repairs or maintenance for your stair lift. Harmar has some innovative designs that combine compact size with heavy-duty functionality. 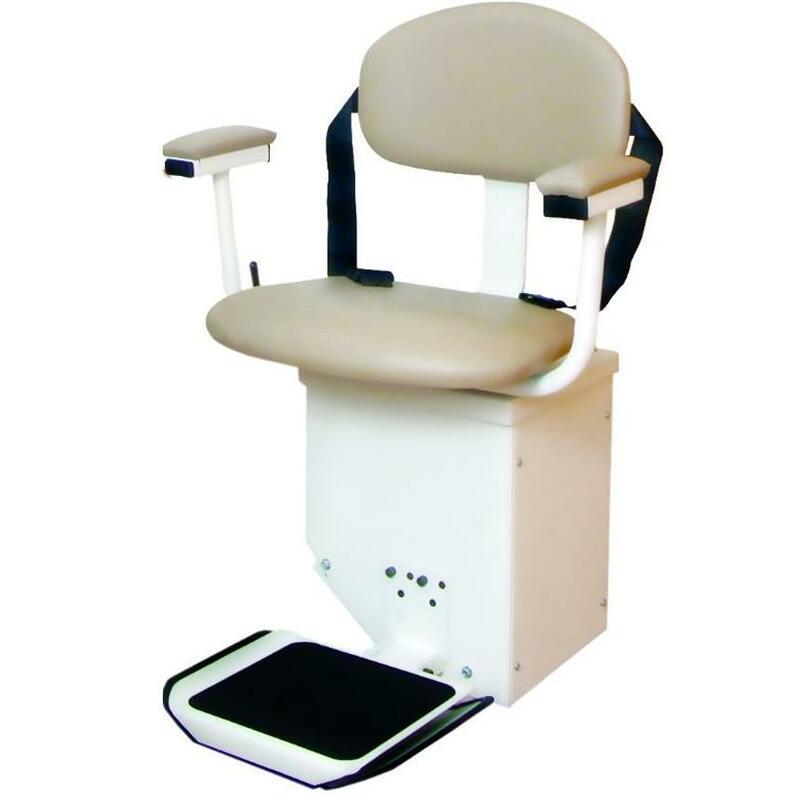 Their SL600HD model is widely considered to be the best bariatric lift in the market. Harmar stair lifts come loaded with safety features if you opt for them, and a top-notch reputation amongst senior organizations who conduct customer polls. Our final opinion? Harmar is a great choice of lift. 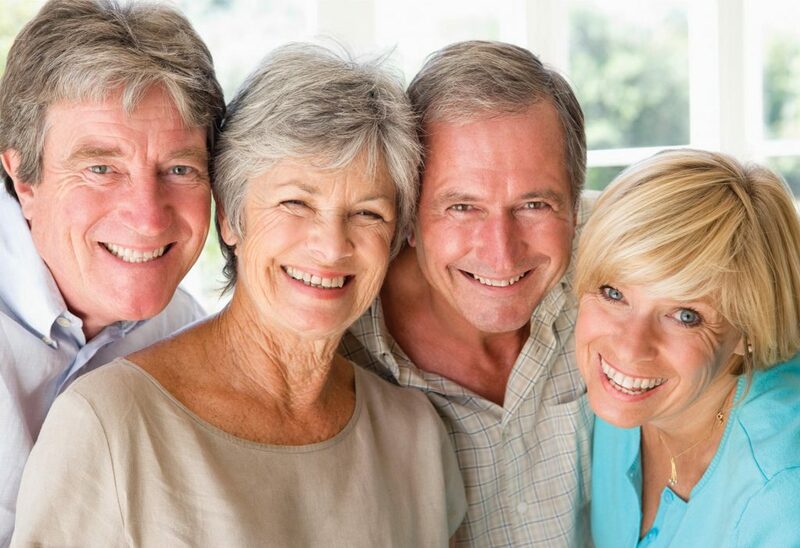 The Baby Boomer generation is characterized as highly determined and independent. If you fit into this category, you’ll know that getting older isn’t going to stop you from staying in the comfort of your own home for as long as possible. After all, the benefits of independent aging are well-documented. Declining mobility and balance is a fact of life, even for healthy and active seniors. This means that your home might need some modifications, to accommodate your changing physical needs.One of the best ways to stay safe and independent at home is to get a stair lift installed. Stannah is one of the most highly-rated lift manufacturers in the world today. They’ve been around for over 150 years, and started as crane and hoist manufacturers in the London dockyards. Over the years they branched into service elevators, platform elevators, home elevators – and of course, stair lifts. If you think they really know lift technology, you’re right. Stannah manufactures the four main types of stair lifts: straight, curved, standing, and outdoor lifts. Straight stair lifts move you up and down a simple staircase, while curved lifts are custom-designed to wrap around turns and landings. Outdoor stair lifts help you access your driveway, porch or jetty, and are hardy enough to withstand rain, UV rays, and even snow and ice. The Siena stairlift is a straight model that can be adapted with your choice of seat width, vinyl colour and height of the staircase. You can upgrade the lift to turn automatically at the top and bottom of the stairs, to let you move off the seat in complete safety. 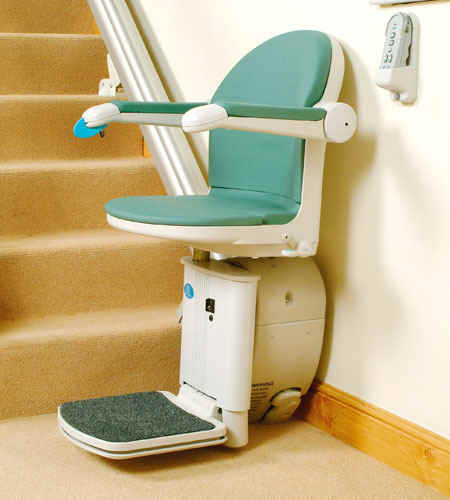 The Starla stairlift is Stannah’s curved model that can be built to go around turns and across landings. It can even manage a spiral staircase. The rails are made to measure to fit your exact stair configuration. The Sadler stair lift is a standing or “perch” lift, designed for people with limited flexibility in their hips, knees and back. 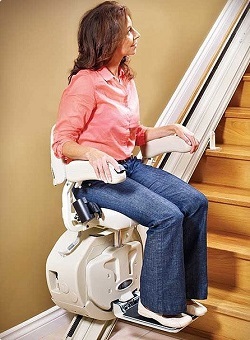 It carries you up and down your staircase in a position that’s halfway between sitting and standing. Stannah’s outdoor stair lift is a rugged model that transports you safely up your porch steps to your front door, down to your back garden, or whatever other areas you want to access. 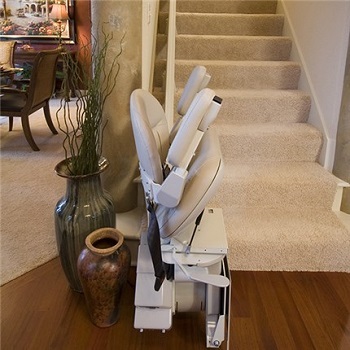 Stannah stairlift seat and armrests flip down manually, and the footrest folds at the touch of a button. The lift controllers are intuitive, so you can just push themin the direction you want to go. The lifts don’t stop on a dangerous part of the staircase – they are designed to move you away from the stairs. You can opt for a power swivel function to the seat, so it faces you safely away from the stairs. Retractable rails allow you to move them away from a doorway or passageway. Stannah lifts come in a choice of light or dark wooden trim, vinyl upholstery, or soft fabric in a variety of colours. The lifts have a battery backup, so you won’t get trapped on the staircase in case of a power outage. The lifts have a call-send button feature that bring your lift to you, or send it elsewhere to park out of the way. The lift chairs foldaway along the side of your stairs for space saving and discretion. Outdoor stairlifts can be locked to allow only you to use them. Sensors on the outdoor lifts stop if they come across obstructions. What weight capacity is needed? What style of seat and rails do you like? Do you want power options or other upgrades for the lift? 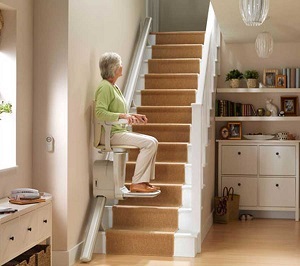 For some, the cost of a stair lift can seem prohibitive. These are highly engineered safety, appliances, so they don’t come at a budget price. However, being able to move safely and freely around all areas of your home can be well worth the expense. You won’t have to sell up and relocate, or pay for a carer. 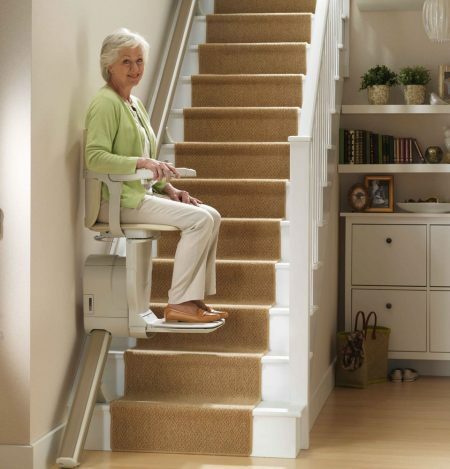 So you should do a “Stannah stair lift cost-benefit analysis” and decide if it’s right for you. Most stair lift installations are custom-built to suit your home, at least to some degree. You can expect to pay the least amount of money for a standard, no-frills straight stair lift for a relatively short staircase of 12-14 steps. You’ll pay more for a curved lift, or a rugged outdoor lift. If you want special features like an extra-strong seat and rail for bariatric users, a powered swivel seat, or any other add-ons – the price will rise accordingly. Below is the price range you should expect to budget for, if you’re thinking of installing a Stannah stair lift. A Stannah stair lift will fit neatly into any home, no matter how what kind of staircase you have. They come highly recommended by dealers and customers alike, with most online ratings being 4 or over out of 5. While a stair lift is a great way to maintain independence in the comfort of your home, it can be a pretty big financial outlay. You’re probably wondering what the downsides are. The main downside of a lift install is that Medicare doesn’t cover the cost of stair lifts. They’re considered to be home modifications, and not “durable medical equipment”. There are other funding options available if you’re interested in a stair lift. Senior organisations can often help you fund a stair lift installation. If you’re a military veteran, you might be able to secure funding through the VA. Various dealers of Stannah stair lifts also offer financing plans, so you can pay for the lift over a period of time. If you’re fully cognizant of all the facts of buying a stair lift, these installations can be well worth what you pay for them. After all, you’re young at heart, and you deserve to live your life at home as freely as you always have. As we age, even otherwise healthy individuals can experience loss of mobility and balance. This can be manageable while engaging in low-key everyday activities – but it can make moving up and down stairs risky. Falls are the biggest cause of injury in seniors, and one of the main reasons that older people have to move to care facilities. No-one wants to become a statistic – and these days, mobility aids like stair lifts mean that you don’t have to! Bruno isa well-known stair lift brand that offers a few different models, so there’s a suitable lift for your needs and preferences. Bruno is a popular American-based stair lift company with a good reputation. They have four main models which we’ve looked at below. Bruno has straight, curved and outdoor options. 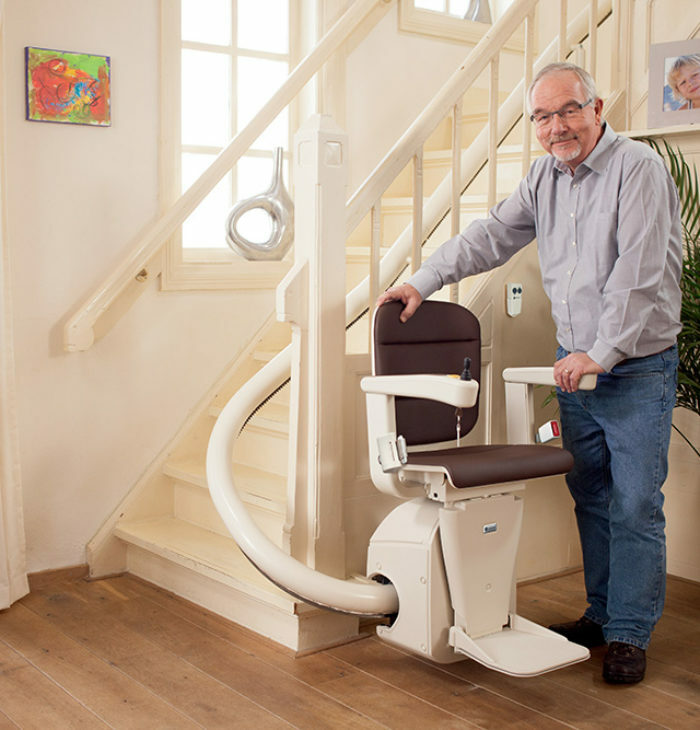 The Elan is Bruno’s most popular stair lift model. It’s a straight indoor stair lift, with a fairly compact profile that leaves plenty of room on the staircase for other users. Its foldaway design and low-profile rail system allow it to blend into a family home without being obtrusive. It has a weight capacity of 300lb and a swivel seat for easy on-off movements. This is a deluxe straight stair lift, with premium options like customized cushions, motorized swivel seat, and a power folding footrest. You don’t have to struggle with a manual swivel function, or folding away the foot and armrests. This is great for people with dexterity issues due to arthritis, gout or other ailments. Bruno Elite can accommodate 400 pounds and has a vertical rail design that fits extremely close the wall to save space. The Elite curved lift is customized to fit complicated staircases with turns and landings. Bruno boasts that this is America’s top-selling curved stair lift model. It has the same premium options as the Elite straight lift. The system has a 400lb weight capacity, which is pretty high for a curved stair lift, and you can choose various styling options for your seat. This outdoor stair lift is a rugged model that can withstand the elements. What it lacks in deluxe padding and style, it more than makes up for in rust-proofing and safety features. You don’t have to miss out any more on getting around safely in the outdoor spaces of your home. It has a 400lb weight capacity, and boasts all the motorized features of the Elite model but with outdoor capabilities. Like most stair lifts, the Bruno models run on aluminum rails that are fixed to your stair treads. They don’t require any remodeling of your walls, so no mess or major inconvenience during the installation. All Bruno stairlift models come with rechargeable batteries, so if there is a power outage while you are using the lift, you won’t get stranded on the stairs. Each model comes equipped with sensors that detect obstructions, and a seat belt for safety. 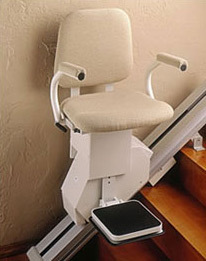 Bruno stair lift costs vary, depending on their custom configuration. Bruno lifts are sold through a number of dealers worldwide, so this can also mean fluctuations in price. The average cost of a stairlift in the United States runs between $3,000 and $10,000. The price depends on the model, rail length, and your choice of upgrades. A straight stair lift costs between $2,000 and $5,000, and a curved model from $8,000 to $10,000. High-end customized stairlifts can cost you up to $15,000. Labour and electrical costs need to be factored in as well. Bruno is a well-known brand that you can also find on online dealers. Used models can cost as little as $500 on eBay, for example. However, be careful when buying a stairlift online without having a professional measure your staircase, and discuss your specific needs with you. Remember that your lift might not have any return policies! Unless you have a family member or friend who is very handy around the house, you’re probably safer buying a new stair lift from a reputable dealer. Bruno straight stairlifts have a limited lifetime warranty. Curved and outdoor models have a comprehensive five-year limited warranty on components and two years on parts. You can’t really go wrong with a Bruno stair lift. Bruno is a trusted manufacturer that takes pains to ensure quality and safety, plus they have a number of options to choose from. Your biggest headache might be finding a top-notch professional installer in your area, if you live in a remote part of the country. Make sure your dealer gives you a list of trusted local surveyors and engineers who specialize in mobility aids for private residences. No-one wants to think about moving into a downsized home because of ageing or loss of mobility. If you’re a senior person, you’ve likely lived in the same house and neighbourhood for decades. However, for many people who can no longer manage to move around theirmulti-storey homes safely, having to move house is a harsh reality. Mobility aids like stair lifts can help youage in your home for as long as possible. Lifts reduce the risk of a dangerous fall, or exacerbating an existing health issue. They also help to alleviate the worries of your caregivers or family. Easy Climber stair lifts and home elevators are sold exclusively through a company Aging in the Home Remodelers, or AIHR. There isn’t a lot of detail about Easy Climber lifts online, other than some very mixed customer ratings. The bad reviews seem to be aimed at the service that AIHR offers, and not the quality of the Easy Climber lifts. However, we’ll lay out below what we’ve been able to find out, and keep an open mind! Like most stair lifts companies, Easy Climber offers customized lifts. Each lift configuration will depend entirely on your particular staircase layout. 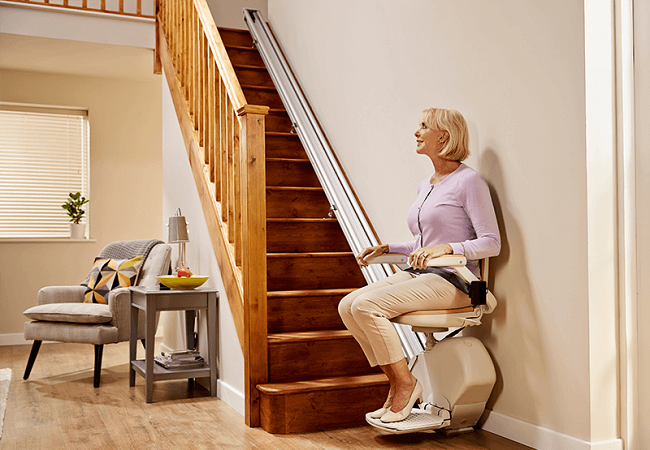 Easy Climber stairlifts feature swivel chairs for safe on-and-off movement, easy controls, safety belts, and safety sensors. They have a rechargeable battery backup, so they stay functional even in a power outage. There’s not much detail on Easy Climber’s particular stair lift options, so you can probably guess that there’s even less detail on their prices! Most manufacturers are wary of committing to prices online, so this isn’t unusual. Stair lifts are subject to many variable factors that alter the price. Installing a chairlift in your home will cost somewhere between $2,000 and $10,000. The standard weight capacity is between 250 and 350 pounds, depending on the unit. The biggest cost factor will be the length and shape of your stairs. Lifts are available with track adjustments and additions that allow you to install lifts for staircase lengths up to 70 feet. Stair lifts are not covered by Medicare, but various senior organizations in your state will be able to give you information about financing. Veterans can approach the VA for details about securing financing for a stair lift. What kind of stair lift should you install? It’s good to know as much as possible about the various factors that will influence your final choice. A straight stair lift is pretty much exactly what it sounds like: a lift that moves up and down a straight staircase. It doesn’t include any curves, bends, or landings. A curved stair lift is custom-built to travel around corners and across landings. There are several measurements that determine what size stair lift unit you will need to install. The first measurement is the length of track from the top to the bottom of the steps. The second measurement is the height, tread, and width of the steps. Will you need a standard size or heavy duty stair lift? A good rule of thumb is that a standard lift can generally hold up to 250-350lbs, while a heavy duty lift can be engineered to carry up to 600lb. If you live at home with family or a partner who won’t be using the lift, they will need room to walk up and down the stairs! Most staircases can easily accommodate foot traffic plus the lift chair, but narrow staircases will need a special compact lift. The seat portion of a stair lift is one of the most important parts of the design. Depending on your level of mobility and other physical factors, you might need a motorized seat swivel mechanism. Motorized foot and armrest folding mechanisms are also available. You shouldn’t have to step onto or off the top or bottom stair, as this can increase the risk of falling. The lift chair should be designed to avoid this. If you suffer from leg stiffness due to osteoarthritis or other ailments, you can choose a standing or perch seat so you don’t have to bend your legs. Easy Climber does installation as part of its package, so you’ll only have one company to deal with! The company who sells the Easy Climber stair lifts, AIHR, offers a one-year limited warranty on all parts of the stair lifts except batteries. For a period of ninety days from the original date of installation, the company will repair or replace parts determined to be defective. Batteries carry a 30-day warranty from date of installation. The warranties don’t extend to multi-storey installations that run over more than two floors of the home. Easy Climber stair lifts don’t have any negative quality reviews online. They seem to offer a good product at a standard price. However, the lack of detailed info about the company, and the mixed service reviews we found are enough to give us pause. In this scenario, potential buyers are better off contacting a company representative for a quote, and to go with their gut instinct after this conversation. We’re certainly not saying there’s anything wrong with the stair lifts – just that their somewhat scrappy marketing efforts make it hard to figure out what kind of experience a customer can expect. How Can You Benefit From A Lift Chair?